Fraud is an ever growing problem for our financial institutions, with criminals using a wide variety of methods to attack organisations across systems, channels, processes and products. Unfortunately, the role of the employee has become an area of increased focus for fraud; with employees either acting in isolation as lone individuals, or becoming a new tool in the organised criminal’s armoury. This paper examines the threat of internal fraud and how cutting edge technology and analytics can help institutions combat this growing problem. 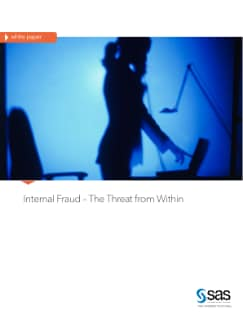 Download “Internal Fraud – The threat from within” today.